If you’ve been wondering why my blog has gone mostly silent, good question. I went from posting several times a week to throwing a post up every once in a while without intending to! I’m trying to get back on track, but October has been nearly as busy with non-blogging things as September. 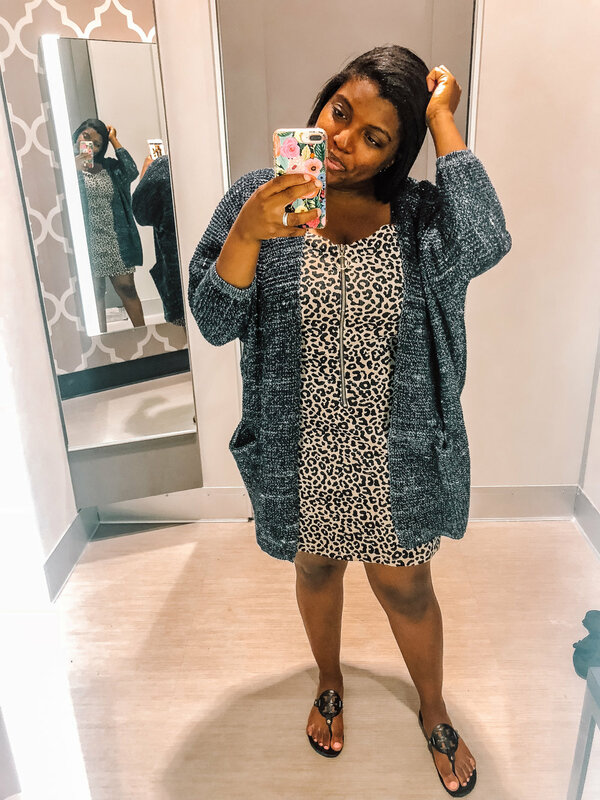 But I’m back with a try-on of my favorite Target fall clothes! 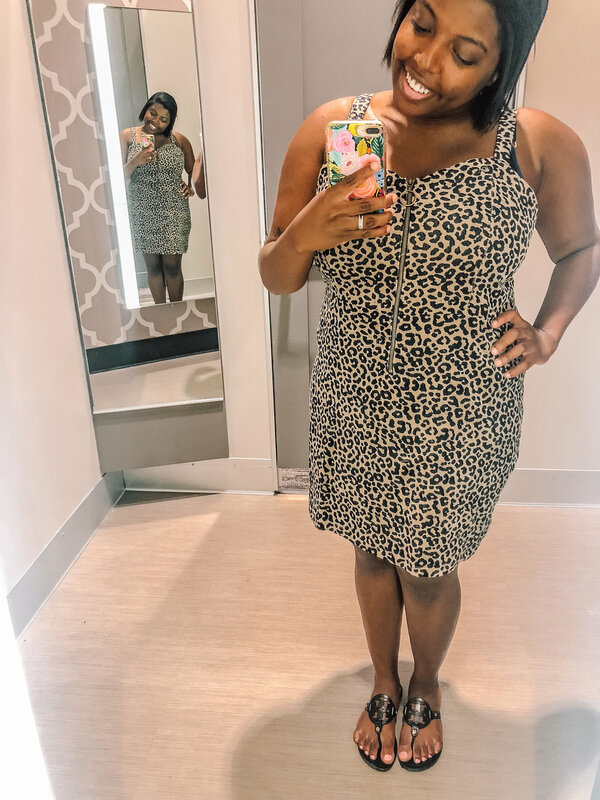 MY THOUGHTS: The sizing on this crop top is strange and runs very small, but once you find the size that works for you, the price tag can’t be beat! 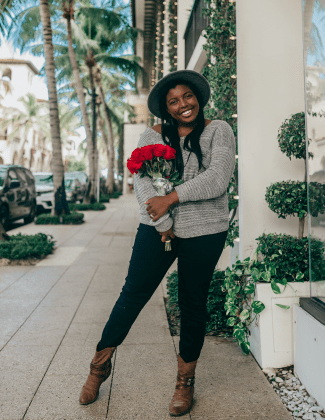 MY THOUGHTS: I’ve been looking for an oversized sweater that I can wear while running errands + hanging out, and this one was a bit thick — but if you live in a slightly cooler climate, this is perfect for loungewear. MY THOUGHTS: This dress is so far out of my comfort zone, but I think I love it! It’s a little bit tricky to work out with a regular bra, which is why I paired it with a cardigan down below. MY THOUGHTS: I need this in every color! 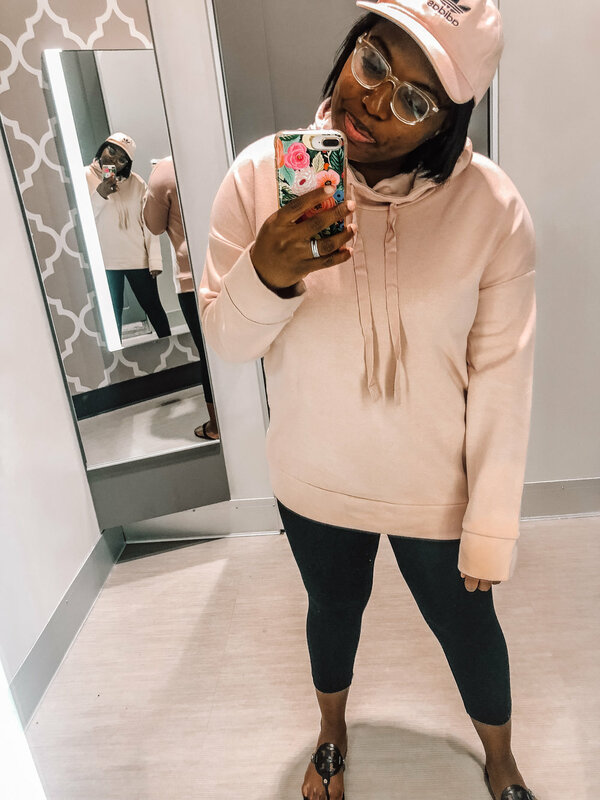 I sized down from my usual large and it was the perfect comfy fit — I probably could’ve done a small but prefer for cardigans to hang off of me. 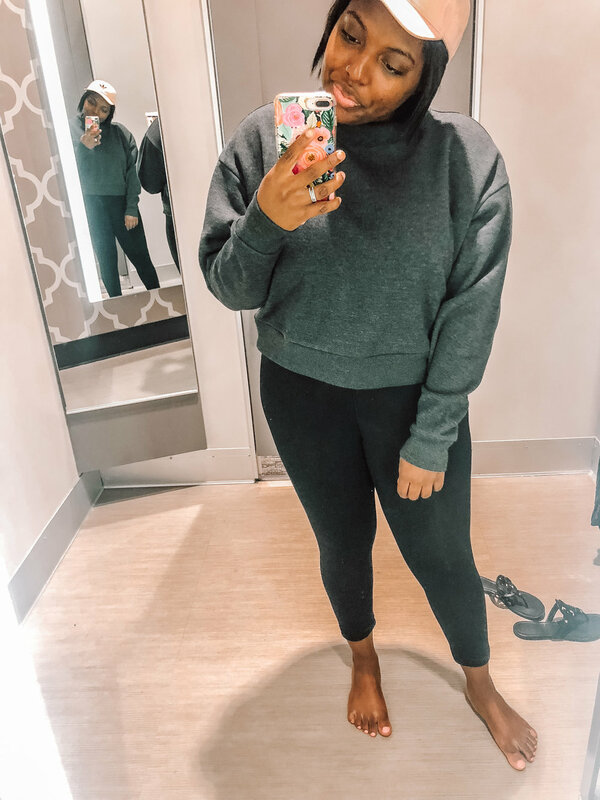 MY THOUGHTS: Cropped sweatshirts are super trendy this season, and I have to admit that I didn’t get it at first — but this sweater has sold me! This is the one thing that I knew I needed from this try-on sesh. 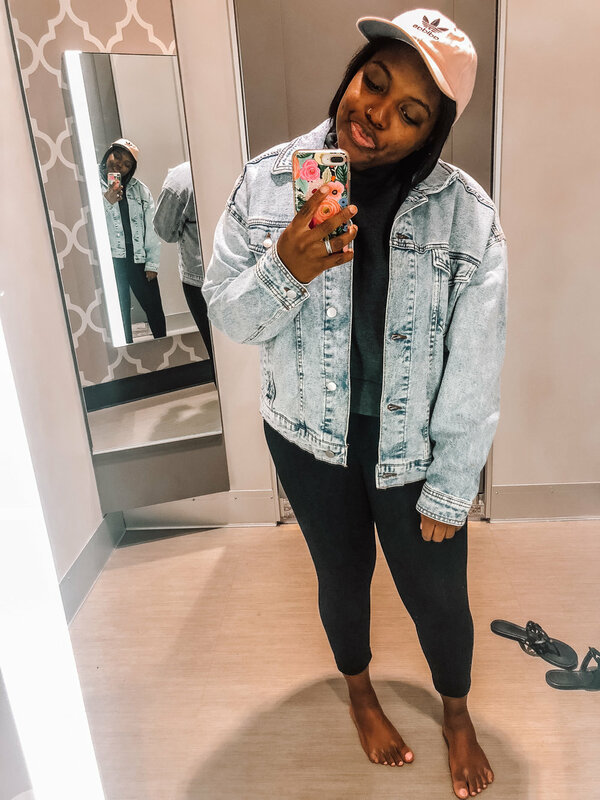 MY THOUGHTS: I’ve been looking for an oversized jean jacket for ages, and this may be the one. It’s a bit baggy, but perfect for fall! I didn’t buy it this time around, but I’ll be back for it. What are your thoughts on try-on sessions? Love ‘em, hate ‘em? 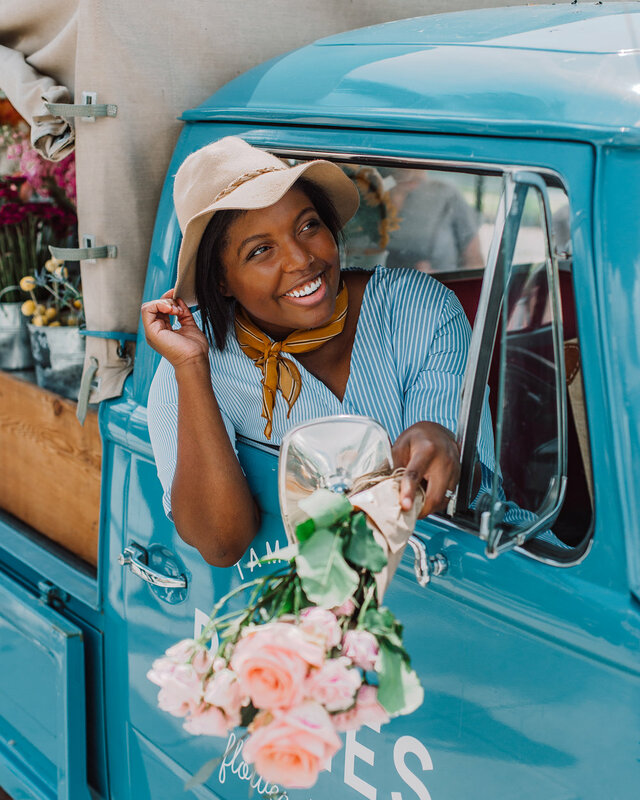 I’d love your feedback in the comments!